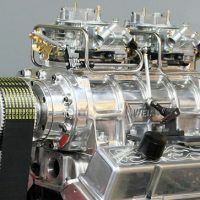 With the exception of Stock Eliminator drag racing and various lower level circle track applications, most racing engines use aluminum heads. Some applications are restricted to the stock-type iron heads and valve sizes with no porting allowed, but most applications allow aluminum heads with a variety of valve sizes and porting configurations. 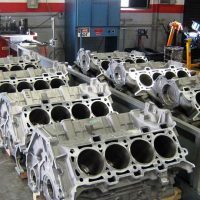 When selecting a cylinder head for a particular application it is important to closely match the desired RPM range based on port dimensions that include port length, cross section, and mid- and high-range flow rates. Some of the primary factors affecting cylinder head flow rate include valve size vs throat area, port shape and dimensions, bend radius before the valve, port taper and the surface texture of the port surfaces. This is particularly true of the port floor and the port roof to prevent fuel separation. Inertia tends to push the bulk of the fuel mixture above the port centerline toward the roof where the runner makes the turn to the valve. The bend radius influences flow rates considerably and it is one reason high port heads with shallower valve angles have evolved. Most manufacturers publish valve sizes and flow figures for their cylinder heads and some provide port volumes. The best ones also provide port dimensions including height, width, cross-sectional area, and port location. Port length along the centerline of the port is also useful, but few provide it. 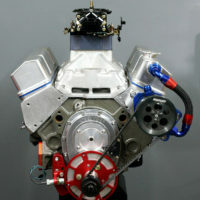 It is generally conceded that the throat area just below the valve is the controlling factor in cylinder performance. 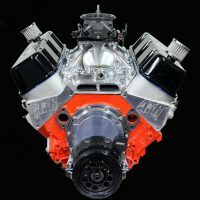 According to Darin Morgan at Reher-Morrison Racing Engines the sweet spot is where the throat area is between 91 and 92% of the valve diameter. He further notes that various applications are best served within this range and often differ by only a few tenths. An optimum general figure seems to be 91.5 percent. 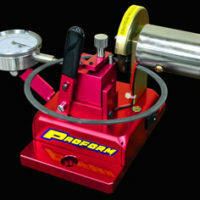 If not perfect for your application it will certainly put you well within the ball park and nearly on top of home plate. The more of this information you have, the easier it is to pinpoint the ideal head for your combination. Flow figures help determine the head’s ability to fill and evacuate the cylinders efficiently. Port dimensions help calculate the torque peak and the spread of the powerband. 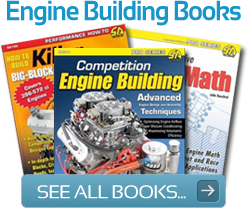 This information is particularly useful if you are brainstorming combinations on one of the many engine simulation programs available for your PC. Valves are a necessary evil in a racing engine. They represent a variable-flow restriction that must be dealt with to effectively feed the engine. Bigger valves are generally better for obvious reasons, but valve size is always limited by the bore size. Under naturally aspirated conditions, intake mixtures must find their own way into the cylinders at relatively low pressure, hence bigger valves are required on the intake side. Exhaust gases are discharged under higher pressures so smaller valves can be used. 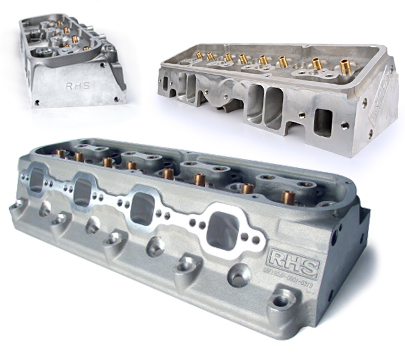 Dart Big Chief Pro 1 cylinder heads for big-block Chevys represent top-of-the-line racing cylinder heads. Enormous 2.400-/1.900-inch valves and large rectangular ports deliver outstanding flow for larger displacement engines with high-horsepower requirements. In most racing circles, the intake valve is typically about 52 percent of the applicable bore size, while exhaust valves are generally about 72 to 76 percent of the intake valve diameter. These sizes are not set in stone, but they yield an effective combination in most high-speed, two-valve-per-cylinder applications. Part of the complication with valves is shrouding caused by proximity to cylinder walls and some deeper combustion chambers. Shrouding presents a barrier that closes off part of the valve curtain or flow window. It reduces net flow, redirects the optimum flow path, and often influences the combustion process with negative results. This is the main reason that many successful racing heads use canted or splayed valves that move away from the cylinder walls as they open. Normally, the largest valve that fits works best, but in the case of severe shrouding, smaller valves may flow better because they are farther from the cylinder wall and present less restriction. 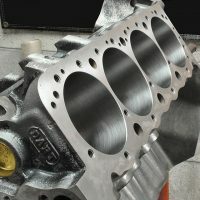 Big Chief CNC full-port versions illustrate the extreme degree of detailed preparation required in a racing cylinder head. Ports and chambers are fully CNC’d and the valveguide tapers are shaped and positioned to optimize flow into and out of the combustion chambers. Valves are also somewhat delicate compared to most other components. It is very easy to burn or otherwise damage a valve to the point where the head breaks off and you lose an engine. Show them plenty of respect in order to avoid more serious consequences. Valve seats must be perfectly concentric to seal properly and the valvetrain must be configured to minimize the severity with which it opens and closes the valves, avoiding valve float at all cost. Valve angles are critical to maximizing performance. Many race heads use a radius seat or up to five different angles on each seat. While 45-degree seats are the norm, Pro/Stock–type applications now use 50- to 55-degree seat angles to take advantage of their superior airflow characteristics at higher engine speeds. This open intake valve shows the generous valve curtain, or flow window. Canted valve angles open the valves away from the cylinder walls to provide good flow with minimal valve shrouding. 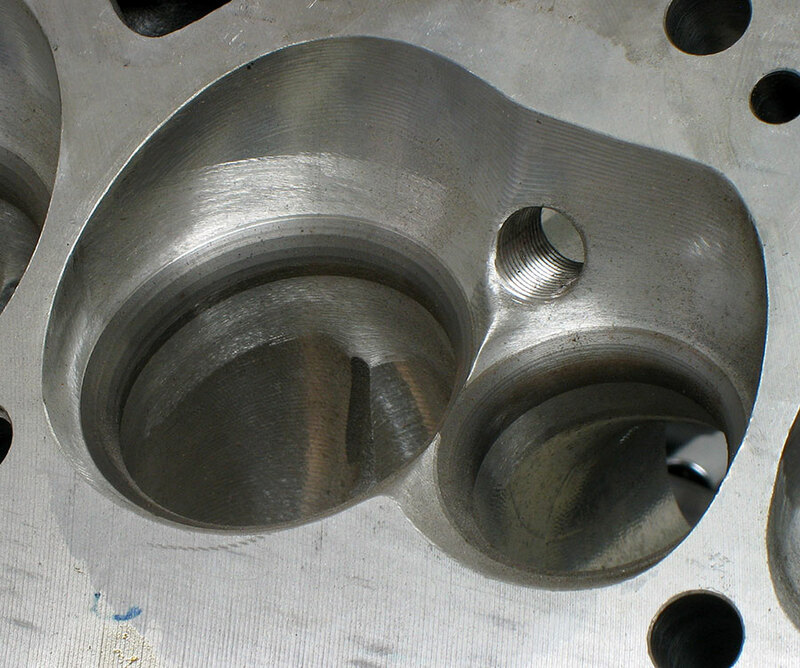 Valve weight is another important concern in high-speed engines. 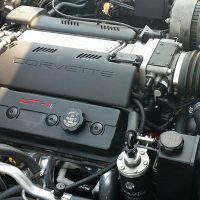 RPM potential and overall valvetrain dynamics are largely influenced by the mass of the valve and what it takes to open and close it with a perfect seal at very high engine speeds. Lightweight titanium valves are standard equipment in all serious racing engines except those applications where they are not permitted. 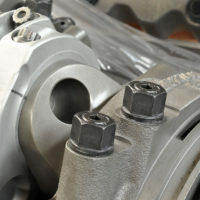 Titanium valves are essential for all high-RPM environments. 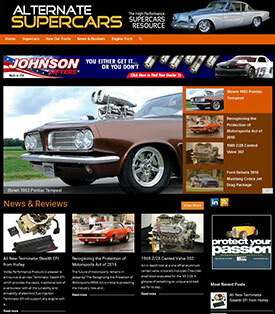 Their strength and light weight support impossibly high engine speeds without failure. 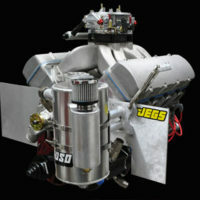 Their minimal mass lessens valvespring requirements and reduces stress to related valvetrain components. Cylinder heads are all about using ports, valves, and combustion chambers to manage and optimize airflow through the engine. To achieve the highest degree of success the cylinder heads must be carefully tailored to match the specific requirements of the desired powerband and its associated racing application. This is not difficult to achieve with the broad range of racing cylinder heads available today, but it is expensive. 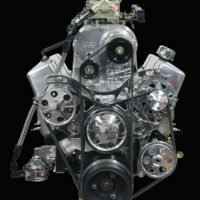 As a rule, top-performing cylinder heads are almost always the most expensive component of any superior racing engine. Valvetrain accuracy and stability are essential to take full advantage of well matched high-flowing cylinder heads. Valve gear like T&D Machine Products’ shaft rockers stabilize the valvetrain and ensure the accuracy of valve timing in every cylinder. These rockers are the first line of defense against high-RPM engine damage. CC’ing the combustion chambers is an important step in race engine preparation. Today’s CNC-machined chambers are very consistent in shape and volume, but a good builder always checks everything. When using CNC-ported heads from top manufacturers you can be pretty sure the port volumes are close to advertised, but a good engine builder always checks every port. Most builders have a favorite gasket for the engines they build. This Fel Pro head gasket illustrates how the gasket bore is typically larger than the cylinder bore with an irregular shape around the valves.